Education Lessons: Making the Transition - Cold Turkey! If you've come to a place in your life where you know that becoming a whole foods plant-based eater is the path you need to take...you may just have to take it. That literally means cleaning out your home of all animal products, dairy, and eggs and re-stocking it with whole foods, plant-based, life-giving foods. Some people want to "eat up the meat in the freezer" and transition slowly. This is definitely one path you can take. You can still get some great benefits from this gradual transition. 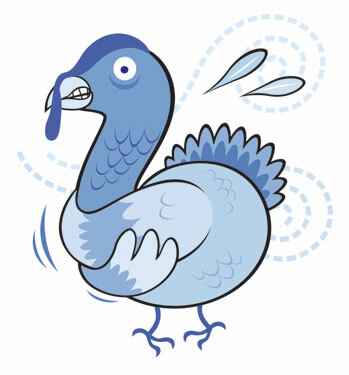 However, I am going to try to convince you that going "cold turkey" is actually the easiest way. I just watched an awesome video about a woman who had cancer. She had the cancer removed through surgery. Then, she had to go in for periodic checkups every three months. During that time, she could never get her mind off cancer. Scheduling and going in for checkups was keeping her mind perpetually on cancer. Finally, she stopped going to the appointments and getting scans done. She focused on healing her body through a WFPB diet and exercise, and she started to really live life. I am using this story as an analogy. When we transition slowly into a WFPB diet, your mind is still on the food you are trying to move away from. You're wondering how much you have left, you feel guilty when you eat it, and you become conflicted in the process. Your mind is not 100% on becoming a whole foods plant-based eater. Your energy is being shared -- with your old lifestyle and your new lifestyle. Making a clean break allows you to truly walk through the door into your new life, not leaving your shoes and car keys behind in another location. Everything about you is "all in" and that, in and of itself, is the recipe for success. So, will jumping in 100% be easy? No, it won't. However, with the right mindset, you will fully enjoy the excitement of cleaning out the old and bringing in the new. Will this cost a lot of money? The answer to that question varies. You CAN do this inexpensively if you're willing to put in a little work upfront. You will stop spending so much money on healthcare, and that can be re-purposed for cookbooks, foods, and conferences. Once you cross over to the other side, you will snap off that rope-held bridge to your old life and walk with a new spirit. Your old life was on shaky ground anyway. A time bomb ticking. Why not beat the clock? One of the things I told myself when we (as a family) decided to go cold turkey was that it would be like visiting a foreign country. I would have to eat the food they ate in that country. I would have to have an open mind. I would try things I wouldn't normally try -- maybe to avoiding starving!! If I thought of this new lifestyle in the same way, it would help. I would be going to a new place that would heal me -- inside and out. Also, it helped to remember that the foods I used to love (McDonalds McGriddles, salads loaded with creamy dressing, baked potatoes with butter, sour cream, and bacon bits etc.) had not served me well. They led to becoming a Type 2 diabetic and grossly obese. There was no turning back. I know this is a trite and old saying, but if *I* can do this....ANYONE can! I became enthusiastic about cooking. I scoured WFPB cookbooks, read books on the topic of plant-based nutrition, and shared my findings with like-minded (and even NOT like-minded) people. I put my energy into getting well and helping others do the same. I never felt better in my life! So, consider walking swiftlythrough that door into a new lifestyle. Honestly, it's much easier than a slow transition. I have talked to hundreds of people who have transitioned, and the people who went cold turkey said it was actually easier than they thought. Those who eased into it struggled more. It's that "thinking about cancer" mentality. It's hard to get over a break-up when you go to every place you and your love went on dates. So, LET'S DO THIS!!!! Love this! I so agree! Rebecca...You can do this! Please read through all of the Education Lessons (link on the right of this page). It will help! Also, e-mail me if you have questions or need support. If I can do this (for more than 3 1/2 years! ), ANYONE can!!! !